Click HERE for information on the opportunities available to help you prepare your heart for Easter. Mid-High, this is your chance to join us for a night of fun games. Meet in the GracePoint Student Center! 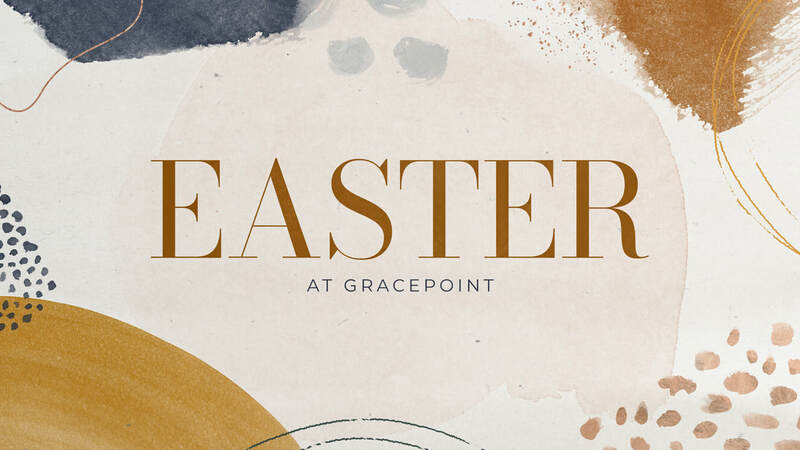 If you are interested in becoming a member of GracePoint, or just want to learn more about what we believe, you are encouraged to attend this membership class, during 3rd service (11:15AM-12:15PM) in room 200. The class will be led by Pastor Aaron. You can sign up for this class online or by contacting the church office, 692-6671 or kweng@gracepointwesleyan.org. If you would like to dedicate your child on Sunday, May 12, we invite you to come to a 30-minute meet and greet time after 3rd hour. You’ll hear what is going to happen during the dedications, tell us which hour you prefer, and meet the other families who are dedicating children that day. If you are unable to make it to this meeting, please call the office, 692-6671, to schedule your child's dedication. The nice weather is finally here & hopefully it will stay! With such great weather thoughts turn to spring cleaning. If you have items that you are wanting to part with, please consider donating them to this fundraiser. You may drop off items starting on Monday, May 6th. Items we are accepting: children’s clothing ONLY (no adult clothing), toys, books, games, small furniture, household goods. This is our annual meeting where we will celebrate God's work in and through us this past year, embrace the vision for next year. and take care of business for the 2019-2020 church year. There will be childcare (KidsPoint) for children birth-7th grade.